SIESTA KEY CHARM!!!! Build your dream home on this almost 1 acre of matured landscaped, nestled on a the very private Point Crisp Road, boasting multi million dollar homes. 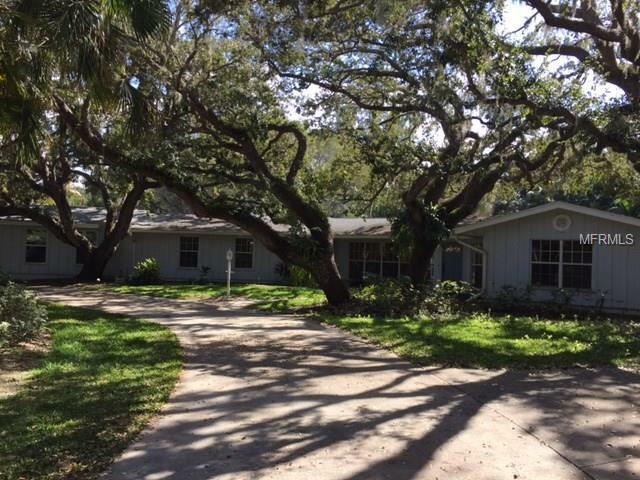 Ready for a new owner to add those personal touches to this old Florida style beauty, with over 3000 sq. ft. of living area. One of only a few properties of it's kind left on Siesta Key! Owner says bring all offers! Listing provided courtesy of Eslinger Realty Inc.